In July 2014, Edgars was able to assist one of its loyal customers after a tragic incident. 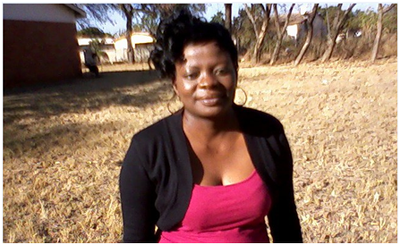 On 2nd July 2014, Linda Heather Sibindi's house was ravaged by fire, and all her property within the house was destroyed in the blaze. Understandably, Linda was emotionally affected by the incident, and she describes the effect of the fire as "tragic and disheartening". She did not know where to turn, but after consulting with friends and members of her community, she was advised to write to the Edgars Corporate Social Responsibility office. Edgars strives to make a difference within the lives of those who live in our communities through various projects, which it undertakes with the vision of offering solutions and making a real impact to people's lives. After Linda contacted Edgars, she was able to quickly receive a positive response and the assistance she needed to get back on her feet. She received cash, which she was able to put towards rebuilding and replacing the property that she had lost. Regarding the assistance that she received from Edgars, Linda expressed her heartfelt thanks and gratitude for having received assistance, and very quickly after she had appealed for it. "As an account holder I felt greatly honoured by what the company has given back me as a part of its community. Thank you very much Edgars Stores Limited and may you continue assisting the community as you have done to me." she stated. Edgars will continue serving Zimbabweans in future through such initiatives, and helping them in their time of need.